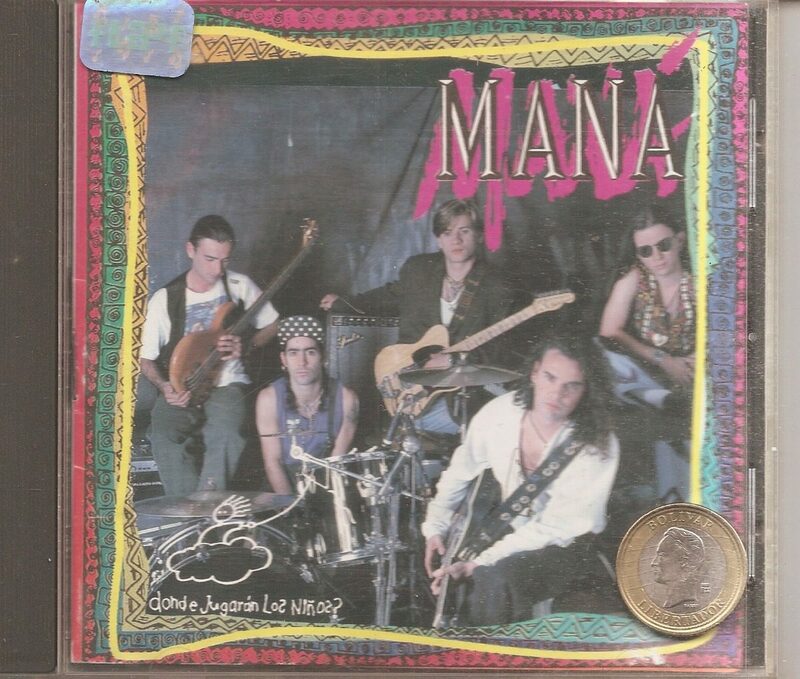 CD DE MÚSICA ORIGINAL DE MANA - DONDE JUGARAN LOS NIÑOS, EL CD ESTA EN BUENA CONDICIÓN Y PRESENTA REFLEJOS DE USO QUE NO ALTERA SU EXCELENTE SONIDO, TRAE 12 CANCIONES, DEL AÑO 1997, HECHO EN COLOMBIA, CD EXTREMADAMENTE DIFÍCIL DE CONSEGUIR. 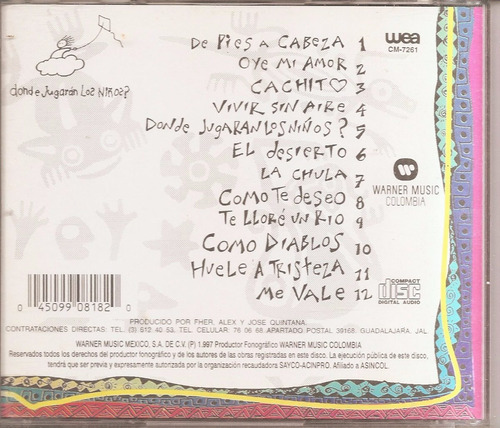 LO RECOMIENDO A TODO BUEN COLECCIONISTA, NUMERO DE PUBLICACIÓN: 11439 - LINEA: 2737. - ENVIOS UNICAMENTE POR LA COMPAÑIA DOMESA, SOMOS TIENDA VIRTUAL NO REALIZAMOS ENTREGAS PERSONALES. LOS ENVIOS SE REALIZAN DENTRO LAS 48 HORAS DE HABER CONFIRMADO SU PAGO. - TENEMOS SISTEMA PROGRAMADO DE PAGOS POR CUOTAS CON UN 20% DE RECARGO DEL COSTO. 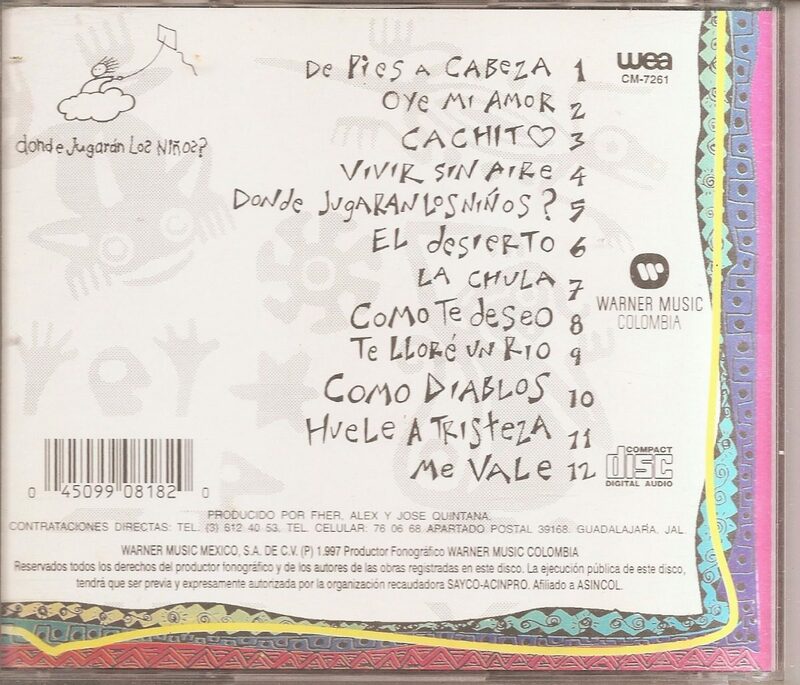 PARA QUE PUEDAS TENER EL CD EN TU COLECCIÓN PERSONAL.